The precision offered by CyberKnife sets it apart from all other radiation therapy solutions. With a robotic architecture, CyberKnife can bend and move around the patient, approaching the tumor from hundreds of unique angles. This flexibility enables radiation beams to be sculpted to target only the tumor, avoiding nearby organs and healthy tissue. CyberKnife also addresses the challenges of patients and tumors moving, even slightly, during the treatment process. 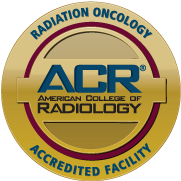 Using advanced technologies to track tumors throughout the treatment process, and adjusting to ensure accurate delivery of radiation, CyberKnife can compensate for patient and tumor movement, and eliminates the need to use invasive head or body frames and other techniques to prevent movement that are uncomfortable for patients. With its Synchrony® Respiratory Tracking System, CyberKnife is the only clinically proven system to use continual image guidance to synchronize the movement of the radiation beam with the movement of the tumor while the patient lies comfortably in a body cradle on the treatment table and breathes normally. This precision makes it possible for CyberKnife to treat even the most complex cases. CyberKnife treatments are noninvasive and pain free, requiring no anesthesia or overnight hospital stays. With precise delivery of high doses of radiation, CyberKnife eliminates the need for invasive head or body frames. Additionally, by sparing surrounding healthy tissue and organs, CyberKnife minimizes side effects, enabling patients to resume normal activities after treatment. CyberKnife is an alternative for many patients, including those diagnosed with previously inoperable or surgically complex tumors, or for those who are looking for an alternative to surgery, conventional radiation therapy or chemotherapy. CyberKnife treatments can be done in conjunction with other types of cancer treatment as well, and can be used for patients who have been treated with radiation in the past. Comments Off on What Makes CyberKnife Unique? Our Care Center is located in the Northern California East Bay area providing comprehensive healthcare in a convenient and friendly outpatient setting.